The February 2019 issue of Chess Life for Kids is here! It's Your Move, You can do it! by SIM Jon Edwards, Chess Kids Across The Board, Avoid The Trap! 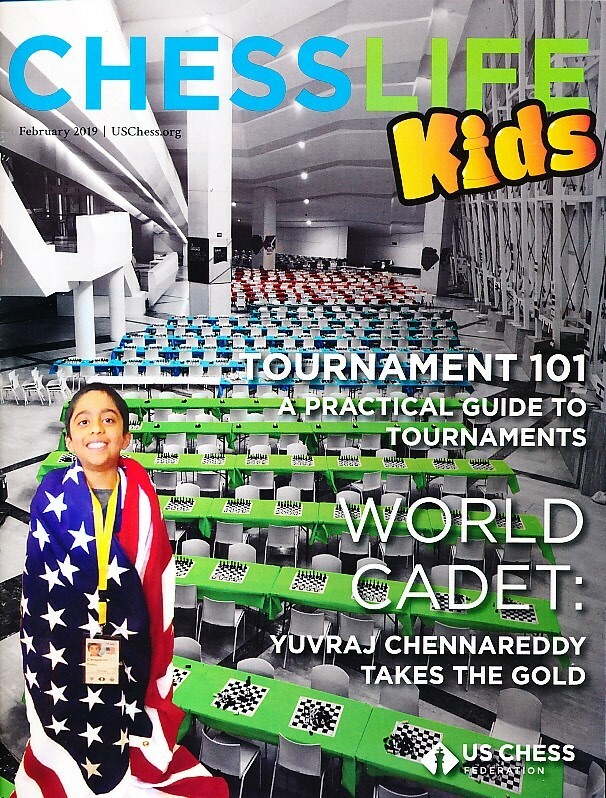 by Bruce Pandolfini, Tournament 101, World Cadet by GM Mesgen Amanov and more in the latest issue of Chess Life for Kids!